You are here: Home / Main Content / Featured Sources / Featured Source: C&O Canal, Georgetown D.C.
Chase, Susan Brown. “C&O Canal, Georgetown DC.” 16 May. Library of Congress Prints and Photographs Division. Medium: 1 drawing : watercolor over graphite underdrawing. 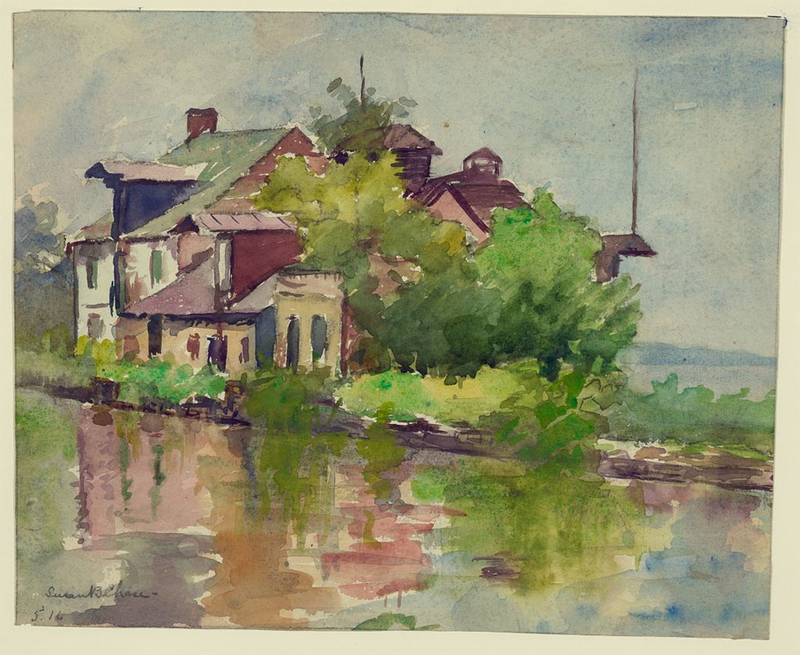 Summary: Landscape drawing shows buildings by the Chesapeake and Ohio (C&O) Canal in Georgetown, Washington, DC. What feeling do you get from looking at this painting? What details or techniques do you think are responsible for that feeling? What does the artwork seem to suggest about the C&O Canal? Use details from the painting to support your conclusion. Compare and contrast this painting with photographs of the C&O canal. What similarities do you notice? What differences do you see?